Part armchair travelogue, part guide book, this projected three-volume series—divided into the western, central, and eastern United States—will introduce readers to all 155 national forests across the country. This Land is the only comprehensive field guide that describes the natural features, wildernesses, scenic drives, campgrounds, and hiking trails of our national forests, many of which—while little known and sparsely visited—boast features as spectacular as those found in our national parks and monuments. Each entry includes logistical information about size and location, facilities, attractions, and associated wilderness areas. 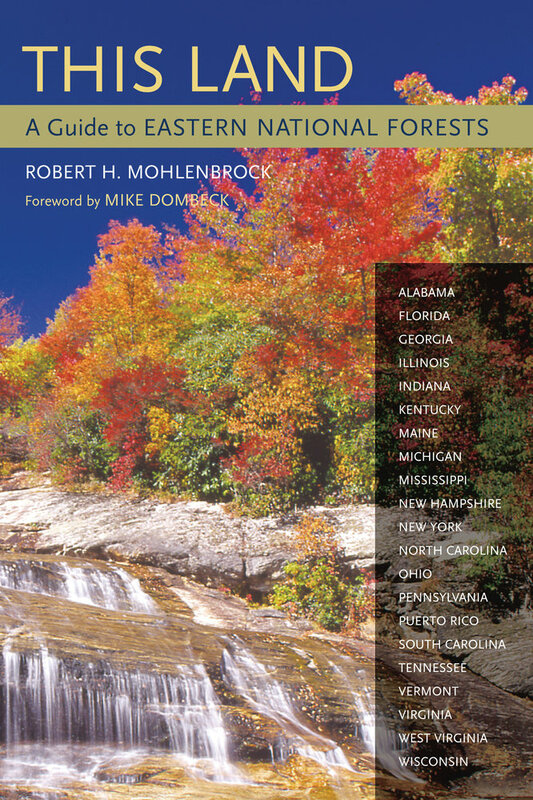 For about half of the forests, Robert H. Mohlenbrock has provided sidebars on the biological or geological highlights, drawn from the "This Land" column that he has written for Natural History magazine since 1984. Superbly illustrated with color photographs, botanical drawings, and maps, this book is loaded with information, clearly written, and easy to use. Robert H. Mohlenbrock is Distinguished Professor Emeritus at Southern Illinois University, Carbondale, and Senior Scientist at Biotic Consultants, Inc. Among his many books are You Can Grow Tropical Fruit Trees (1999), Field Guide to North American Trees (1987), Field Guide to North American Wildflowers (1987), and Where Have All the Wildflowers Gone? (1983). Mike Dombeck is Chief Emeritus of the U.S. Forest Service.